It can keep you safe even when you’re asleep. It can monitor your home’s temperature and humidity level constantly. 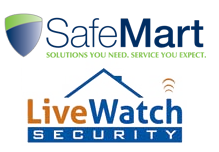 Moreover, it can give you home security, home automation and video monitoring through an all in one security gadget. Sounds convenient, isn’t it? Piper can be installed easily. You just need a power source and a Wi-Fi connection. You need to primarily connect the unit to a power source using the 8 feet power cord that comes inclusive with the package. After the unit has initiated, you can then download the app through Google or iTunes. The app works best with an internet upload speed of 800 kbps at the minimum. The app will automatically synch Piper with your Wi-Fi. After the sync process, you can now make a secured account. Each account can hold up to 5 Pipers. With this, you won’t need to go through the inconvenience of logging on to separate accounts for each of your Pipers at home. The app has 4 modes which you can select depending on your preference and need. You can put the system in Away, Off, Vacation or Stay mode. You can use the Stay option if you want to engage your system while your inside and sleeping. An expansion to Piper’s features is the Bedside mode. When activated, the mobile app remains engaged the entire night so you can easily reach for it when unexpected events turn up. You can access this mode by pressing the moon handle icon on the dashboard. Piper has several features packed in its 6 x 3.5 unit. 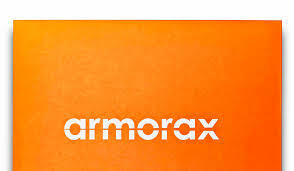 It compresses all the things you need to keep your home safe. You can electronically tilt the camera, pan it and even zoom it 10 x for a closer look through its wide angle lens. Piper can give you a panoramic view of your room.You can also use the fisheye view if you prefer. You can also expect a better quality output through the 1080p video camera. Piper camera can give you four different views of your room. You can monitor all screens at the same time through the app. Piper has a 180 degree lens. It’s wide enough to give you a better view of your room. However, as much as the hype goes for Piper’s camera, it has no night vision. Piper has a split screen mode for a more convenient viewing. As a single device, you can only expect Piper to monitor one area. If you have a larger house or if you have many floors at home, you may need to purchase more units. Piper records every event that triggers your security. 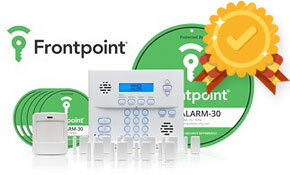 It keeps a record of the event five seconds before the alarm is actually triggered and lasts up to 20 seconds after. This gives you a 25 second clip weighing an approximated 3 MB. Every recording is transferred to a cloud based storage. You can store up to 1,000 clippings before the older recordings get deleted and overwritten. Unfortunately, you cannot download or put the recordings in a local storage. Piper’s sensors can detect movements within a range of 30 feet. If you have a pet at home, you can adjust the sensitivity of your motion sensors to avoid pet-triggered alarms. You can do so by accessing the Settings page on the app and clicking the Piper Option tab. 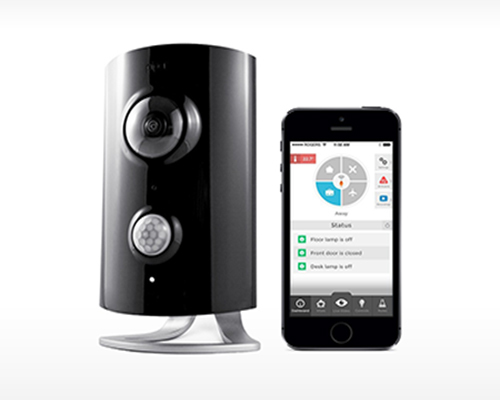 You can enjoy Piper’s two way audio to communicate with your family at home. You can also listen for sounds or movements in case an intruder is detected. The siren alerts at a level of 105 decibels. It is exceptionally very loud. However, there’s an option through the app that you can use to leave the siren off. Piper calls this as Siren Lockout. Piper includes sensors to monitor your temperature, humidity, ambient light and sound in your home. The sensors don’t deactivate. You can depend on them to function 24 hours a day. Piper is not waterproof and definitely not weather proof which makes it restricted to indoor use only. However, despite being limited to indoor functionality, Piper can control your home effectively. 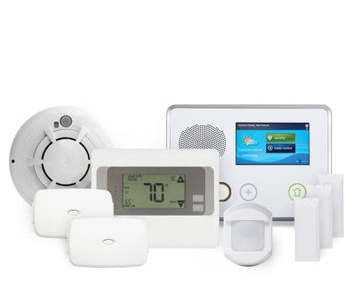 Their online store provides options for Z Wave home automation accessories that can let you experience the convenience of having a smart home through Piper. If you have a large home, you can purchase the Z Wave Range Extender. It can extend the range of your Z Wave wireless signal. You can control your home’s lighting by integrating the Z Wave Smart Dimmer into your Piper system. You can even control your house’s mood through your lights. However, if you want to control light switches and existing outlets, you can connect the Z Wave Micro Smart Switch. With it, you can set your home’s automation rules for better command of your household appliances. If you want sensors in your house but don’t want the inconvenience of hard installation, you can purchase the Z Wave Door/Window sensors. They are relatively small and can easily blend with your home’s interior. Piper immediately notifies you if it detects any breach in your security. On the same note, you can also register emergency numbers for Piper to contact in case you can’t be reached. This forms Piper’s Trusted Circle Contacts. By the split screen view, you can have access to 4 views of a single room. Cloud storage for your recordings is provided for free. However, you cannot download your videos. The HD camera does not provide night vision. The built in siren is extremely loud. Piper has a backup power source. The “Pet-at-home” switch minimizes pet triggered alarms. The sensors for home vitals can work 24/7. The camera can provide you a fish eye view as well as panoramic view of your room. A single account in the app can hold 5 Piper units. The device can only monitor one room or one floor at a time. There is no monthly fee or contract.